An HR management software company for 13 years, NEEVA has become the expert in talent management. Created by HR professionals and experts in this technology, NEEVA was the first company to develop an HR management software entirely in web 2.0. With its strong business expertise, NEEVA offers high-performance management solutions in training, skills, professional interviews and recruitment. Currently there are more than 1500 customers, from 100 to 160000 people, using NEEVA-designed HR software. The variety of our customers’ industry sectors, as well as their commitment, allows us to develop our solutions daily and continuously expand our business expertise. NEEVA is on the continuous lookout to discover essential developments in HR management. In terms of organisation, and the legal and regulatory environment, NEEVA adapts its solutions to the future requirements of its customers. To build a close and long-term relationship with its customers, NEEVA commits to transparency and to communicate closely with its customers in relation to the company and its solutions. NEEVA ensures its customers benefit from expert advice and supports them through every stage of their HRIS project, up to their successful completion. NEEVA continuously develops its solutions to offer its customers new features with the aim of promoting effective management of its human capital. What’s more, NEEVA offers scalable applications and performs regular updates. The NEEVA solution is available via traditional licence or SaaS option. For both options, application and Responsive Design are used. A simple navigator is required to access the software package, which means the solution installs quickly. From the outset, NEEVA has chosen to offer a benchmark solution in order to offer an administration and maintenance facility to its clients. 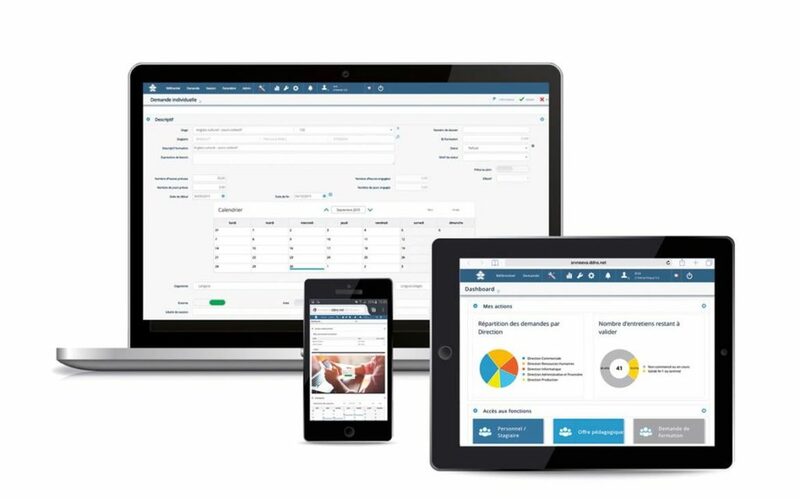 What’s more, the NEEVA HR management software is a completely configurable and customisable solution depending on its clients’ specific requirements and needs. In particular, this is possible thanks to Mode Design, exclusive to NEEVA applications. The NEEVA HR management software is designed to be decentralized for all HR stakeholders (from managers to employees); who access the application via different and customised profiles. The solution therefore adapts perfectly to all kinds of organisations. With user-friendly and convenient software solutions, NEEVA offers an excellent user experience. Navigation is easy-to-use, enjoyable and efficient. The NEEVA HR management software is designed using the most accomplished software which guarantees you powerful solutions.